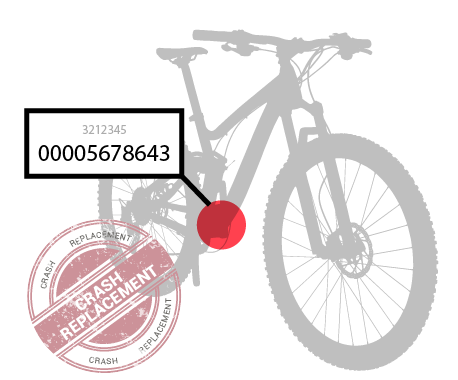 Within the frame of the products service policy, BH Bikes offers a Crash Replacement Program. This consists on a money saving service for all those cases of damaged 2018-19 carbon frames that cannot be included in the BH Bikes Standard or Lifetime warranty. The cases excluded from the Standard or Lifetime warranty are those resulting from an improper use of the bike, normal wear and tear and all the exclusions described in the BH Standard or Lifetime warranty terms. The BH Crash Replacement Program is limited to the original owner and to damages that compromise the functionality of the bike. We reserve the right to suspend this service if we detect that the damage has been caused wilfully or it is of a merely optical nature. We also wish to expressly point out that it is not possible to change to a model of different range. In order to fulfil the requirements for Crash Replacement, the frame/fork in question must be returned to us. If replacement is necessary, we reserve the right to retain the defunct parts being replaced. Crash Replacement cannot be combined with other discount offers.